designers can just call in a favor at Google and they will just make it happen. I don't blame the average person for wanting to be listed on the first page on Google, or even the first spot. I want this for you too. The reality of SEO, is that it is a long game, it isn't something that happens immediately. This is something that takes time and patience. You have to show Google that your website is displaying QUALITY CONTENT and that people want that content. Did you notice I said quality content? Any old content won't work in Google's eyes. Every website will have some form of content, often web designers put content that has little or no value to the website visitor. The reason for putting quality content into a website is that you ultimately want people to get value from the content and to link to your content. Content linking, or what is know as a back-link, shows Google that your website has value, hence, they will move you up the ranks. You have to use the keywords that people are using to search for your product or service. A classic SEO example is looking at how peope search for cars online. The average Internet user will search for "used cars". If a website has their car website loaded with the keyword "pre-owned cars" or "refurbished automobiles", there is a pretty good chance, they will not be found by the person that searches for "used cars". 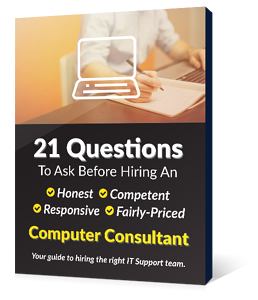 So, you have to use the keywords that the average website visitor is searching with. In life, typically if something is not fully understood or confusing myths start to surface that further the confusion and misunderstanding. The Internet is full of SEO misinformation and myths. The idea that you need to submit your website to Google in order to appear in search results is not true. While a new site can be submitted to Google, it is not necessary, Google will find you and index your site. Ranking is not what is used to be. While there is a strong correlation between search results placement and clickthrough rates, it isn't as important as it once was. Showing up in the top three positions on page one is obviously a good thing. But, research has shown that being listed at the top of page two and three shows similar behavior. 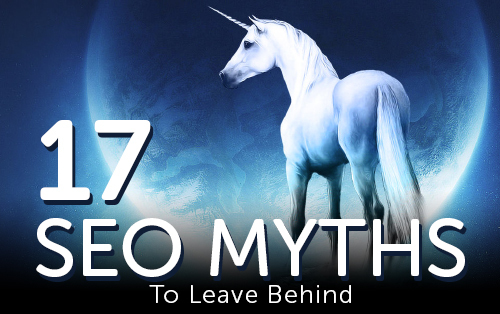 To see the rest of the myths, download our Free guide, "17 SEO Myths You Should Leave Behind". Click the graphic to download or click here.